CarLoanStudent specializes in helping people to improve chances of getting refinance car loan approvals faster regardless of whatever may be the status of their credit histories. Refinance When the Time Is Right : The timing of obtaining a low rate auto refinance loan could be could be more important than your decision to get car refinanced. Usually, people prefer getting cars refinanced when there is a fall in the market interest rates. But it is essential to determine how much money you can save by refinancing your car. Some Alternatives to Refinancing : In certain peculiar situations like being on a new job for a high pay, promotion on current job, inheritance of wealth or tax refund, it could be better if you think of pre-paying the loan rather than considering applying for an auto refinancing loan. However, check if there is pre-penalty clause for an early pay-off. Refinancing to Lower Your Monthly Payment : You may think of refinancing your car for getting loan term extended if you are finding it difficult to save money despite trimming your budget in some other areas. Such a move may enable you to reduce monthly car payments drastically and save money which can be directed to repay some other types of debts. As We See It : When thinking of applying for a car refinance loan, timing and financial situation can play vital role. Therefore, prior to embarking upon researching various auto loan refinancing alternatives, it could be advisable to do some advance homework. Remember, most of the loan dealers will run credit checks and that can affect your credit ratings negatively. What to Consider When Refinancing a Car Loan? To make the best out of refinancing your car, there may be few things which you need to take into account as follows. Know you’re Stuff : Contact your present lender and find out how much you still owe on your car. Also read the fine print of original auto loan agreement to check if there is pre-penalty clause. Shop Around : Get free non-binding quotes from several different top rated lenders and compare them in detail. This will enable you to find the right type of lender for your specific circumstances. Don’t Forget the Fees : Inquire about various kinds of fees involved in the car refinancing process. You may have to bear charges for state re-registration of car, application processing or transfer of lien holding. Know the Requirements : Most of the refinance lenders will have some basic requirements for approving applications. It is important that you knew them before you actually apply for low rate car loan refinancing. Do The Maths By Yourself : By now it is clear that refinancing attracts some additional costs and to recover them time could be required. So do some calculation to find out how much money you can save. If you are still getting confused on when to refinance a car loan then you need to know that auto refinancing could be your best option for saving money if your credit score has shown some drastic improvement ever since you purchased your car and you want to qualify for lower rate. 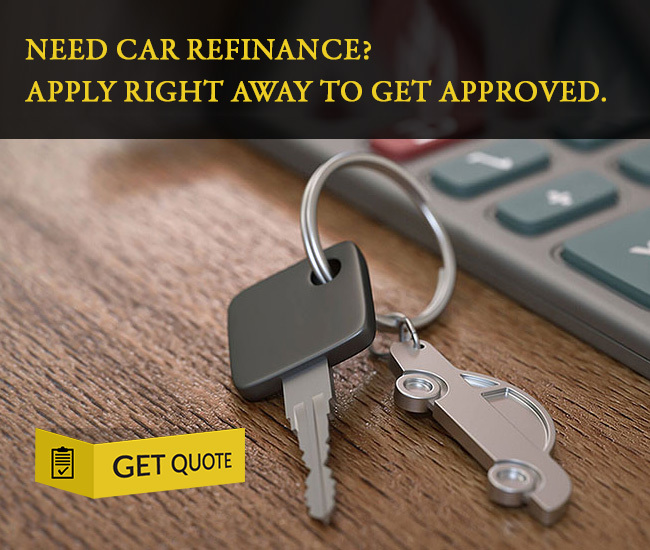 Before embarking on the task, you must be aware as to when should you refinance your car loan. In any case, here are 3 most ideal situations for considering auto loan refinancing. Low Interest Rates : If your current auto loan interest rate is high and there has been a huge decline in the market interest rates then you must consider getting your car refinanced as it will enable you to reduce monthly car payments drastically. Improved Credit Score :You may also opt for a car refinance if your credit rating has improved significantly and you are eligible to get better rate. But get accuracy of your credit profile thoroughly checked before you apply for auto refinancing loan online. Change In Financial Situation :If there has been a change in your financial situation, whether good or bad because of whatsoever reasons, then you can consider applying for an auto refinance loan as such a proposition might enable you to save hundreds of dollars.